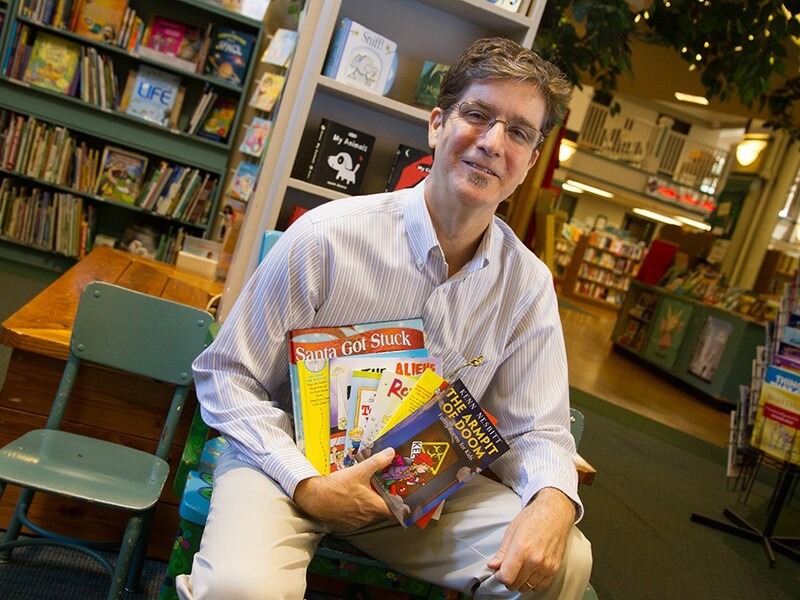 Kenn Nesbitt has been named the children\'s poet laureate. Before Kenn Nesbitt was a published children’s poet he was a computer programmer and software developer. Then what was once a hobby became a career. But Nesbitt doesn’t find this seemingly unusual job swap that strange. In fact, computer programming and poetry are similar in more ways than one. Nesbitt, who was recently named the third children’s poet laureate, would know. The laureateship, established in 2006 by the Poetry Foundation, is focused on getting kids to read poetry. It’s not, however, connected to the U.S. poet laureateship. Although the two-year appointment is the first award Nesbitt has received, the Spokane resident has been a published children’s poet for 15 years. Nesbitt places poets into two broad categories: those who write free verse and “stretch the boundaries of language,” and those who focus on finding an exact way to place words within the structure of the poem. “I fall firmly into that latter category,” he says. His approach has proven successful. He’s written and published around 400 poems and makes a living writing, reading and presenting to elementary schools around the U.S. and occasionally internationally. In the past year alone he visited 61 schools in person, 34 online. Between Nesbitt’s skill as a poet, his active schedule and his website, poetry4kids.com, he reaches a wide audience of children. His website is chock-full of poetry-related games and activities and gets about 2 million unique visitors a year. The most important part of Nesbitt’s job as a poet, though, is making those school visits, something he’s been doing for 15 years. He reads his poetry to the kids, talks about reading, writing and helps students write poems. As a child, Nesbitt loved reading funny poems. The problem was that there just weren’t many of those poems around. He’d go to the library to read and reread the poems in Lewis Carroll’s “Alice in Wonderland.” Then, he started writing poetry as a hobby after hearing a recording of Shel Silverstein reciting “Sarah Cynthia Sylvia Stout Would Not Take the Garbage Out.” In 1997, he got more serious about poetry and started writing a couple of poems a week. “I spent years teaching myself how to do it,” Nesbitt says. These days, he does most of his writing in the summer. He has no set writing schedule, but he’s happy when he writes one poem a day, five days a week. Starting in the fall, he starts doing more school visits, which prevents him from writing as regularly. Nesbitt says that the biggest difference between his poems and other children’s poems is that they are all funny. If kids can expect a “zinger” at the end of every poem, he says, they will keep reading. As part of his laureate duties, Nesbitt will give two public readings, advise the Poetry Foundation on children’s literature and choose books to highlight on its website. Ultimately his work is highly satisfying. Nesbitt compares it to the feeling you get when you complete a New York Times crossword puzzle; it’s the thrill of finding just the right words. “I feel really lucky and humbled to be able to earn a living as a working artist,” he says.